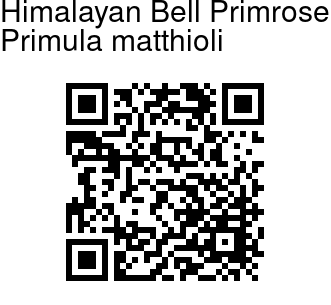 Himalayan Bell Primrose is a plant very much like a primrose except that it has bell-shaped flowers. 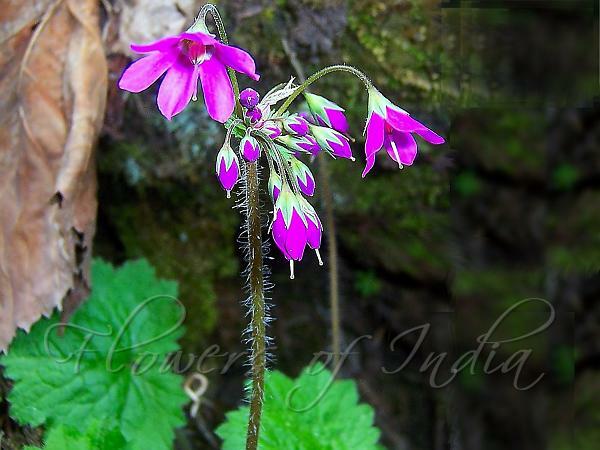 Flowers are rosy-purple, drooping, with long flower-stalks. They are born in a lax umbel of 5-12 flowers, atop a slender flowering stem 15-25 cm tall. Flowers are 1.5 cm long, divided divided up to middle into 5 oblong blunt petals. Flowers have 5 triangular sepals. Leaves are long-stalked, hairy, with a rounded-heart-shaped blade, 2.5-10 cm across, with 5-7 shallow lobes which are toothed. Himalayan Bell Primrose is native to Soviet Central Asia, Afghanistan and N.W. Himalaya. It is found at altitudes of 2286-4200 m. Flowering: June-August. Photographed at Buran Pass, Himachal Pradesh.